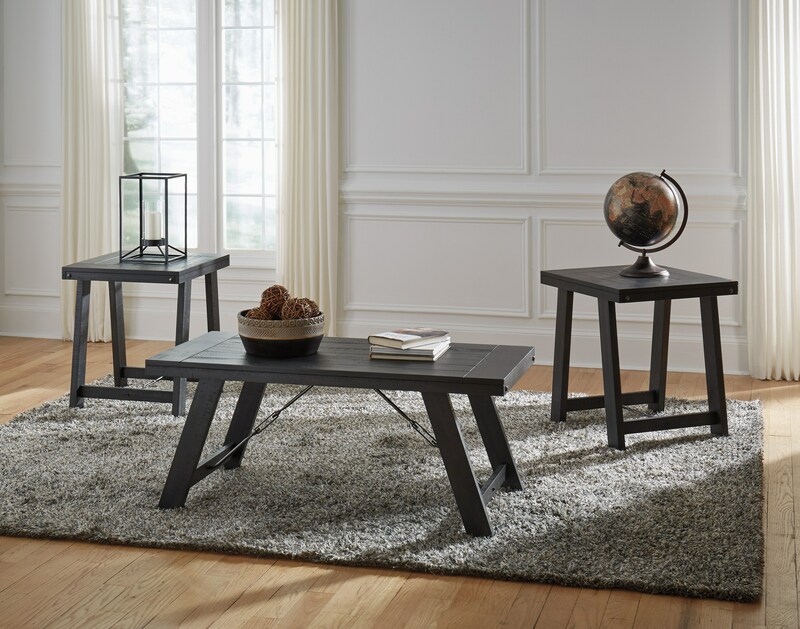 Furnish your space with this sleek set of industrial tables. The planked tops of the tables with the canted legs and stretchers keep the atmosphere casual with a hint of countryside charm, while the dark and handsome finish add a smooth modern appeal. Reaching into its industrial roots, the tension bars are a striking detail that creates a sharp definition amongst a mixture of styles. The Noorbrook Industrial Rectangular Occasional Table Group with Planked Top by Signature Design by Ashley at Michael's Furniture Warehouse in the San Fernando & Los Angeles area. Product availability may vary. Contact us for the most current availability on this product.